Be sure to register your home phone, cell phone and your family's phones to receive official emergency notifications for local officials. These messages can save your life. Please click the link below to sign up for the appropriate jurisdiction. NOAA Weather Radios are the fastest and most reliable way to receive weather warnings and all-hazards alerts from the National Weather Service and local emergency management agencies. These radios are available at multiple department stores and available online for reasonable prices. Transmitters are located throughout Southeast Colorado to give you the best coverage possible. For more information on NOAA Weather Radios please visit the NOAA Website by clicking the button below. Many communities in southern Colorado utilize a network of outdoor warning siren to notify people who are outside. These systems are not meant to be heard inside of a house or business. They are strictly to notify people who are outside to go inside and find out additional details of the warning or alert. Each siren system is independently operated and policies and procedures may vary from jurisdiction to jurisdiction. Siren Tones for Baca County are - 3 Minute Solid Tone Tornado Warning. 3 Minute Wobble or up and down tone is used for All-Hazard Alerts such as flooding, fire, attack etc. Testing is completed on the first tuesday of each month unless severe weather exists. Bent County - The siren system in Bent County is activated by the Bent County Sheriff's Office dispatch center. IMMINENT DANGER (Natural Disaster/Tornado) - Steady Sound for 3 minutes. Prowers County - The outdoor warning siren system for Prowers County is owned and operated by Prowers County Office of Emergency Management and City Municipalities. Several upgrade continue to be implemented with all new sirens being capable of alerting citizens even though utility power has been lost. 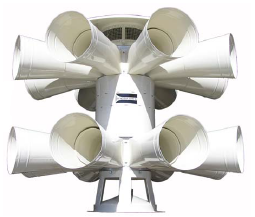 There still remain some sirens that have not been upgraded due to funding constraints. Our outdoor warning sirens are not intended to be heard within a structure, although some may, when activated their intent is to warn those that are outdoors to take shelter, turn on a radio, television or listen to NOAA Weather Radio to obtain emergency information. We have 13 sirens located through out our populated areas within the county as listed below. Local utility provides the main activation point. To provide accessibility all fire departments have the ability to activate their respectable siren system also along with the County Emergency Manager. Funding is being obtained to provide Prowers Communications the equipment to activate the system also. OUTDOOR WARNING SIRENS ARE TESTED THE 1ST MONDAY OF EACH MONTH SOUNDING A STEADY SOUND LASTING 1 MINUTE. A 3 minute steady sound will be used on any all hazard events which could be, but not limited to, a tornado, flood, haz-mat event, fire. In a tornado event the 3 minute steady sound may be activated for each tornado sighted. A 3 minute wail sound is reserved for air raid. Prowers County Office of Emergency Management does not issue an all clear, if the sirens sound for 3 minutes take appropriate actions to acquire further information by checking you local broadcast and television media or NOAA Weather Radio.